One of the joys of practicing Architecture and Photography is when the two crafts can meet. This type of convergence completes the creative cycle. 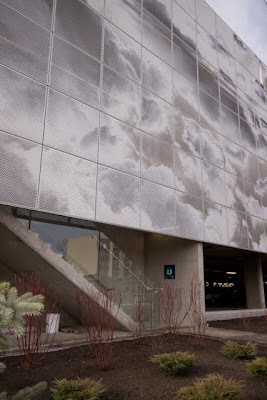 This is the case with the recently completed SAIT Parkade screen in Calgary. John from ICPix had the privilege to work on this project complete with the screen design. 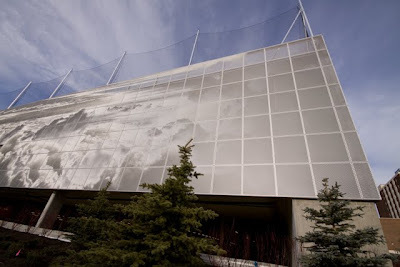 As an Architect with Marshall Tittemore Architects (Calgary), John worked with Bing Thom Architects (Vancouver) and Rod Quinn, a local Vancouver artist and mastermind behind the screen technology. The result is a lovely bit of visual poetry. 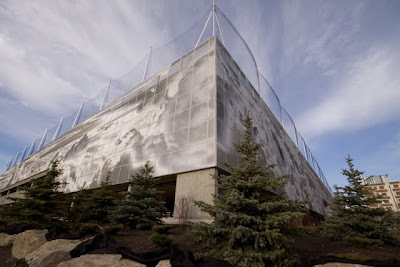 Photographing a dynamic aluminum pixelated facade like this will be a pleasure for years to come. Every time the light and colour of the sky changes, so too will the expression of the facade, making this a perpetual photo opportunity. Calgarians, take a look, take a picture, and enjoy. You can check www.ombrae.com ..teh system creators.. they will be uploading the new web site pretty soon..
Haiti - Photography as awareness or expoitation?